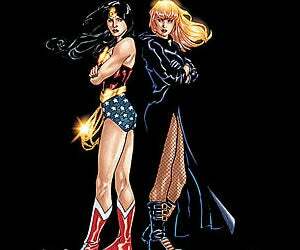 Eager to shake things up for Wonder Woman, DC Comics and writer Gail Simone has come up with an unexpected new route for the character: renouncing her heritage, religion and embracing her superherodom. Oh, and becoming a cagefighter. Really. Wonder Woman is going to renounce the gods and declare that she is no longer an Amazon. We're going to see her as more of a superhero than she's been in quite some time. They're not too happy about that. They're not going to make everything easy for him. Cagefights, out and proud superheroics and warrior women making gods' lives misery - How can you resist? Warkiller begins in September's #36.